Re: TTFA License Coaching Course Thread. Does anyone know where or why we have little or not courses being offered here? but nvr heard anything of it til it was too late! Why arent these things marketed better??? we should have a thread just for courses on offer!! You can always take a short trip to Florida in January for an NSCAA course. EX-ENGLAND player and coach Hope Powell will conduct a three-day FIFA coaching course for women coaches and players. A total of 33 local women coaches and players, including current Women Soca Warriors captain Maylee Attin- Johnson and midfielders Janine Francois and Ahkeela Mollon will participate. The sessions will take place at the VIP Lounge, Hasely Crawford Stadium from tomorrow and continue until Sunday. It will be the second occasion Powell will be conducting a coaching course in Trinidad. On this occasion, Powell will deal with The role of the coach; How Players learn; Principles of Fitness; Match Analysis; Match Observation; Psychological Aspect of Player Development. Following the sessions, there will be a practical sessions with demonstrations and presentations by participants. Here are the 34 women expected to participate in the coaching course: 1. Janelle Noel, 2. Ahkeela Mollon; 3. Ayana Russell; 4. Janine Francois; 5. Rosemarie Lewis; 6. Anastasia Griffith; 7. Marcelle Phillip; 8. Shanice James 9. Verlea Duprey; 10. Lisa Jo Ramkissoon; 11. Teleshia Joseph; 12. Caryl Hamilton; 13. Leonita Rivers; 14. Anishah Granger; 15. Allison Boney McDonald; 16. Lyndell Hotye Sanchez; 17. Terry Johnson-Jeremiah; 18. Loiseh Andres; 19. Julia Thomas-Ross; 20. Crissanne Sanchez Rique; 21. Rhonda Jones; 22. Kiren Johnson; 23. Tisha Belfon; 24. Edna St Louis; 25. Jonell James; 26. Denyse Wickham; 27. Maylee Attin Johnson; 28. Renasha Jones; 29. Kamile De Gale; 30. Shirlann Jules; 31. Shanelle Warrick; 32. Dernell Mascall; 33. Rachel Noel. Who is the youngest participant in that group? FF: Since you aced the course you deserve a little bligh! The T&T Football Association (TTFA), through its director of football, Kendall Walkes and his technical team, will continue its slate of ‘C” License coaching courses from tomorrow. Walkes and TTFA technical advisor Muhammad Isa will head to Mayaro Recreation Ground tomorrow for a three-day course starting at 5.30 pm on the opening day. On Saturday and Sunday the sessions begin at 9 am and runs until 5 pm. The TTFA will shift to Biche Recreational Ground from November 20-2. Interested persons for the course in Biche can contact the TTFA at 623-9500. “It’s our final course for 2015 and it’s an exciting period for the young and upcoming coaches. We are focusing on raising the levels of many of the individuals who are involved in coaching at the youth and grassroots level and others who are interested in it,” Walkes said. 25 football clubs receive licence. Twenty five clubs in Trinidad and Tobago received their club licensing certificate for the 2017 season after completing a compliance process in the first year of the TTFA/CONCACAF Club Licensing programme dating back to 2016. TTFA president David John-Williams promised to introduce the Club Licensing programme into the local game roughly a year ago and on Thursday evening he was proudly congratulating ten TT Pro League clubs and 15 Super League clubs upon receiving their certificates following the opening phase of the programme. This is among some of the development programmes the TTFA has introduced in recent times including the FIFA Solidarity and Compensation Training Workshop for local clubs, the CONCACAF Goalkeeping Course, Futsal Referees Course and the TTFA/Dutch Instructors and Coaching courses among others. Moving clubs into the process of falling into line with both FIFA and CONCACAF guidelines has been the objective. John-Williams said the Club Licensing Programme was introduced to assist all local clubs and while the Pro League and Super League clubs were among the first set to benefit from the programme, others clubs in the six local regional associations will be targeted in 2017. The advancement of club football through the club licensing programme is directly related to key performance indicators within the areas of infrastructure, sporting, administration, finance, legal and social responsibility. -Club’s Statutes/Constitution FC Santa Rosa president Keith Look Loy said at the presentation ceremony that he felt it was a good step for local clubs and he encouraged others to become compliant. TT Pro League – Morvant Caledonia United, Central FC, Club Sando, Defence Force, Mau Pau Stars, Point Fortin Civic Centre, Police FC, St. Ann’s Rangers, San Juan Jabloteh, W Connection FC. Super League – Barrackpore United, Bethel United, Club Sando FC, Cunupia FC, Defence Force FC, FC Santa Rosa, Guaya United, Marabella Family Crisis Centre, Matura Reunited FC, 1976 Phoenix, Police FC, Queen’s Park Cricket Club, University of Trinidad & Tobago, WASA FC, Youth. The Trinidad and Tobago Football Association will stage yet another TTFA “C” License course, starting on April 22nd, 2017 at the Ato Boldon Stadium. The course, which will be conduced by FIFA Technical development officer Anton Corneal, will run for two consecutive weekends, April 22-23 and April 28-30. Limited spots are available and interested applicants can contact the TTFA at its offices at 623-9500. Another course is schedule for May 12-14 and May 19-21. Other areas of focus will be – coaches being able to understand the main moments of football and relate it to team task and function; coaches being able to identify and develop personal and professional behaviours in themselves and players and coaches being able to identify the basic elements that make up football among other areas. WATCH The instructor and the candidates. Anton full of energy while conducting this course, good to see passion is still there. The Trinidad and Tobago Football Association will continue its Coach Education Programme by offering two more TTFA B License courses in September and November. Interested coaches are being encouraged to register immediately due to the limited places available. The first course takes place at the TTFA’s Home of Football at Ato Bolton Stadium from September 11-19th. A second B License course will take place between November 13-21st. The eligibility criteria includes coaches having already completed the TTFA C + or higher course (outside of T&T) or TTFA C with at least one year coaching experience. The coaching certificate must be provided as proof. These courses are structured under the Royal Dutch Academy. The cost for the “B” License is TT$2,500. The TTFA will also stage a TTFA C License course between October 16th-20th. A batch of coaches in the Secondary Schools League are currently completing the TTFA B License which is being conducted by Anton Corneal and Marlon Charles. The TTFA is committed to providing every opportunity for our coaches to succeed. We have established avenues for our coaches to receive continuing coaching education in order to increase their knowledge of the game and enhance their teaching approach. The FA sees the importance of defining a clear direction for player development through a plan for the future and remaining focused on reaching end goals. Not getting lost in the mix of day to day tactical strategies and playing only to win is key for success. All interested participants must download and complete the attached form and submit to TTFA1908@yahoo.com. Contact the TTFA head office at (868) 235-5057. This FIFA 11+ demonstration is the latest example of the TTFA’s commitment to Player Health & Safety. The prevention programme “The 11” was developed by FIFA’s medical research centre (F-MARC) in cooperation with a group of international experts. “The 11” is a simple, catchy and time-efficient preventive programme that comprises ten evidence-based or best-practice exercises and the promotion of Fair Play. It requires no equipment other than a ball, and can be completed in 20 minutes (after a short period of familiarisation). The exercises focus on core stabilisation, eccentric training of thigh muscles, proprioceptive training, dynamic stabilisation and plyometrics with straight leg alignment. The programme is efficient as most of the exercises simultaneously train different aspects and can replace other exercises. “The 11” should be performed in every training session after a warm-up and stretching of all the important muscle groups. Precise performance of the exercises is important in order to ensure their effect. The sequence of exercises should be followed. Before each match, a shortened version (only exercises 4, 5, 8.) of “The 11” should be carried out. The benefits of the programme include improved performance and also injury prevention. In addition, when respecting Fair Play, you can further reduce the risk of injury to yourself and other players. I applaud the TTFA for having its own licensure. However, the landcape seems muddled. How does TTFA licensure fit into the architecture of CONCACAF licensure? Does CONCACAF licensure represent a higher accomplishment? Is there a hierarchy? These days, CFU on some fronts is engaged in fending off CONCACAF. Reportedly not a harmonious relationship. Therefore, when CFU announced a B-licence, it presented multiple questions in my mind ... not the least of which was that a CONCACAF D licence fulfilled one of the entry criteria. But that probably had to do with the fact that CONCACAF had barely rolled out its C licensure ... so there would have been none to few C licence holders. Also, that course (CFU B) was initially billed as a UEFA B course occurring intra-regionally, then later promoted as a course leading to UEFA B eligibility through Belgium. The mere existence of CONCACAF licensure is directed to the benefit of regional coaches. Yet, there are some questions to be answered. The Trinidad and Tobago Football Association will stage another “C” License Coaching Course from Monday March 5th to 9th at the Ato Boldon Stadium. Interested persons can register for limited spaces by visiting the TTFA’s head office at Ato Boldon Stadium or calling at 235-5057. The course will be conducted by Technical Director Anton Corneal. The participating fee is $1,200 and includes course material, snack and instructors fees. Duration of the TTFA C Licence course? 5 days. Duration of the Mexico federation C Licence course? 5 months. Priceless. TT $1200. You serious? 5 days vs 5 months? Was this course announced before today? The start date is six days from today. Did the C course occur? Or was that hastily announced propaganda? I want to believe it occurred but TTFA Media has been about as silent on the matter as Donald Trump tweeting about Stormy Daniels. The Trinidad and Tobago Football Association will stage a C License Coaching Course at the Ato Boldon Stadium TTFA Home of Football from June 10th to June 14th, 2018. The course will be run by TTFA Technical Director Anton Corneal who is also a FIFA and CONCACAF Instructor. Interested Participants can call the TTFA offices (868) 235-5057 to register. The course registration fee is $1,200. 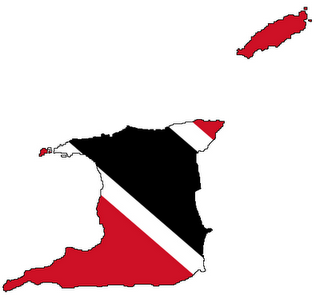 Has there ever been a course offering in Tobago? Yes there were two actually. Not sure if either time the participants received their certification. TTFA stages B and C license courses in December. The Trinidad and Tobago Football Association will be presenting TTFA B and C License coaching courses on the following dates in December. Applicants will be accepted on a first come, first serve basis and registration is opened to all interested. Please contact the TTFA head offices at 235-5057 for further information. Stern encourages locals to undergo TTFA coaching courses. “We have a tendency to believe that winning is development which has been a pressing topic for us in the course. But this has course has taught me a lot in terms of what we should focus us on. As a player we just focus in playing but when you are more knowledgeable about the game and aware of situations in the game, moments in the game, you get a better idea of it overall from a coaching perspective,” Mascall added.